Today kicks off our fall retreat in Boston! 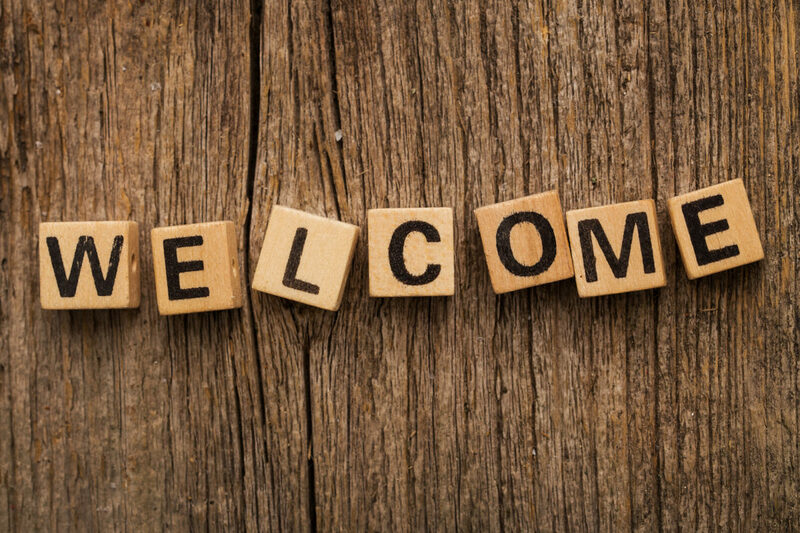 We are so excited to reconnect and share out learnings from each of our organizations. This will be our newest cohort of fellows first FAO retreat! 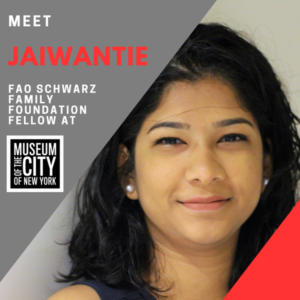 Get to know the newest FAO Schwarz Fellows. 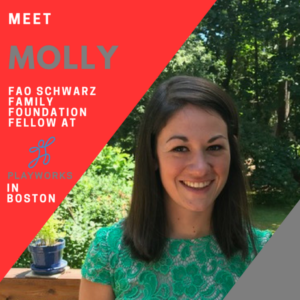 Molly works at Playworks New England, where half of her role is devoted to serving as a Senior Program Coordinator at all Playworks based partner schools. 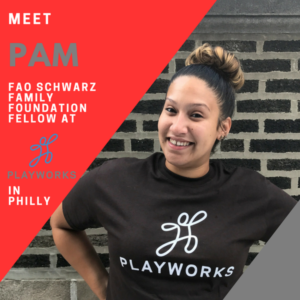 The other half of her role is devoted to developing Playworks family engagement plan and improving their college volunteer strategy. 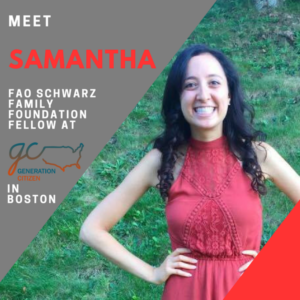 Samantha works at Generation Citizen in Boston, where half of her role is devoted to direct service activities that focus on empowering Generation Citizen’s young people. The other half of her role will be devoted to long-term organizational strengthening. supporting, and co-facilitating at Playworks partner schools. The other half of her role is devoted to developing marketing, brand building, and recruitment initiatives. teaching existing school and summer field trips. 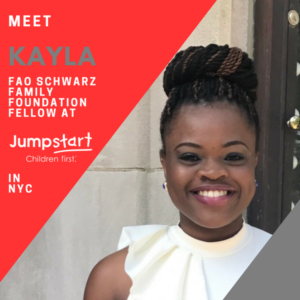 The other half of her role is devoted to assisting with the creation, implementation, and marketing of Family and Community Engagement Programs for the Center. building capacity in Jumpstart’s new Policy & Government Relations department.